Dr. Roger George Franklin, Jr., 77, was promoted to heaven on October 25, 2018. He was born June 2, 1941 in Oxford, a son of the late Roger and Lillie (Jones) Franklin. Roger was predeceased by his sister, Barbara Jane Franklin. Roger was a Christian, a devoted husband and father, an ordained minister, carpenter and business owner of the Franklin’s Inn in Wake Forest for 38 years. 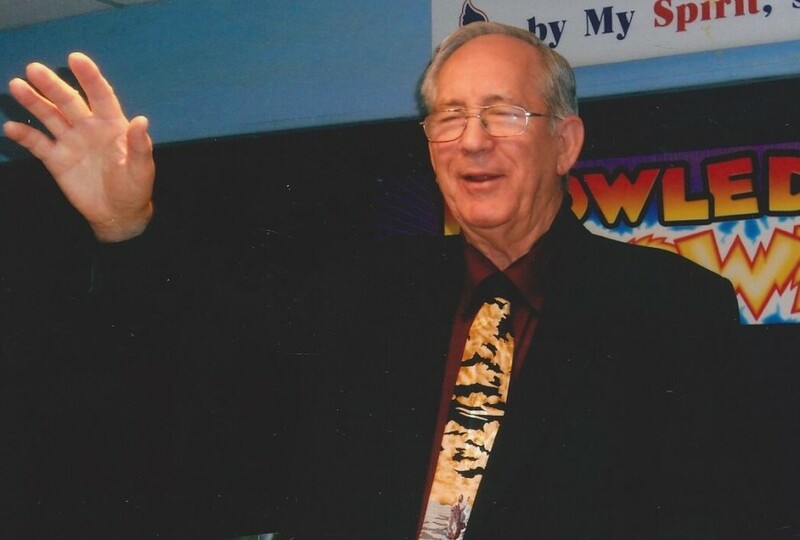 He was the founder and president of Dove Ministries, Inc., and founder and pastor of Dove Christian Fellowship. He preached the gospel of Jesus Christ internationally, locally and through television and radio for more than 40 years. He will be remembered for his passion to serve Jesus and his love for his family. Roger is survived by his wife of 41 years, Barbara Franklin, his 7 children and their families, Jason, Charity, Joshua, Elizabeth, Wayne, Rodney and Kenneth Lee, 19 grandchildren, 5 great-grandchildren, and 3 sisters and their families, Virginia House, Mary Pegram, and Elizabeth Dunn. A visitation will be held Sunday, October 28, from 6-8pm, at Bright Funeral Home, 405 S. Main Street Wake Forest, NC. A funeral service will be held Monday, October 29, 11am in the Chapel of Bright Funeral Home. A graveside will follow at Pine Forest Memorial Gardens in Wake Forest. In lieu of flowers, the family welcomes donations to Dove Ministries to carry on his legacy to spread the Gospel of Jesus Christ. Please send the donations to P.O. Box 183 Wake Forest, NC, 27587.